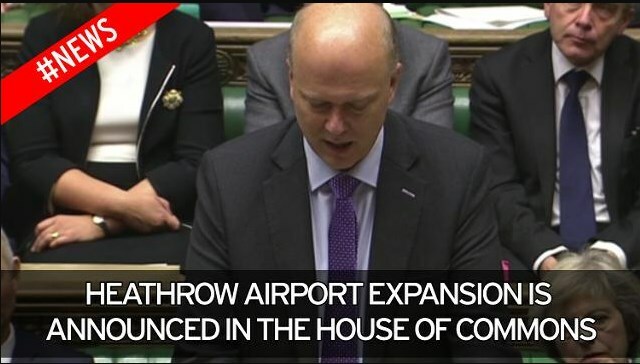 In a devastating blow for clean air campaigners in the protracted battle over Heathrow, the Government secured the backing of the Commons for their expansion plans. However, the case for a third runway has not been made and I am sceptical that it will ever go ahead. If the Government had genuinely considered the evidence, expansion would have been rejected outright on the grounds of noise, pollution and climate breakdown that is currently showing in extreme heatwaves and terrifying fires. As Chair of the London Assembly Environment Committee, I wrote to all London MPs making it clear that we vehemently oppose the expansion of Heathrow Airport. That is united position of the Committee and indeed the whole of the London Assembly, we re-affirmed our opposition before the Common’s vote. Since the vote, the Mayor of London who had provided Hillingdon, Wandsworth, Richmond and Windsor & Maidenhead with technical support, announced he will join them in their legal action against the third runway. I asked the Mayor during the July Mayor’s Question Time what else he would do to stop the third runway at Heathrow, you can watch our exchange below. At my urging the Mayor agreed to meet with Plan B – an environmental charity, who are taking the Government to court because the UK’s carbon targets are based on 2 degrees warming and not 1.5 degrees as per the Paris Climate Change agreement – to help inform his joint legal action. What happened in the Commons? The Government’s prolonged PR exercise to justify expansion at Heathrow vastly overinflated the economic benefits of a third runway and seriously downplayed the environmental and health impacts. Twenty-seven London MPs, who should know better and do better for their constituents, backed the Government. Former Mayor of London Boris Johnson, after making a huge fanfare about his opposition, performed an astonishing vote-dodging disappearing act. The economic case just does not stack up. The Airports Commission said it would gain £147 billion in economic benefits, yet the present net value ranges from £3 billion over sixty years to minus £2 billion. Accusations that the Government deliberately staged the Heathrow vote three days before the Committee on Climate Change (CCC) report to Parliament was published to keep MPs in the dark are well founded. The CCC report to Parliament revealed “marked failure” on the Government’s climate record with warnings that the UK will fail to meet their fourth (2023-2027) or fifth (2028-2032) carbon budgets. This key report should have been available to MPs to counter the the glib assurances that Chris Grayling made on being able to deliver a third runway within UK climate change obligations. This evidence could have significantly altered the outcome of the vote. Around 700,000 people are already affected by noise from Heathrow – this impacts the health (especially because of disturbed sleep from night flights) and education (because of disturbed lessons from day flights held under rumbling flight paths) of people unfortunate to live under flight paths. It’s estimated that the noise from a third runway will affect 300,000 more people. No amount of the promised sound insulation will compensate Londoners for the racket they will be exposed to when outdoors in their streets or gardens. This will be particularly unpleasant during hot summer months when people face the option of stifling nights with their windows shut to block out noise, or opening them for fresh air and being woken up by late night or early morning flights. The Government wants us to believe that somehow by adding 700 extra planes a day with a third runway, they will still be able to meet air pollution limits, despite its own analysis showing exactly the opposite. The additional car journeys from people travelling to Heathrow to take these extra flights will bring gridlock and pollution to already congested roads. This blatant disregard for the health of Londoners is simply unacceptable. The Government has a duty to protect and improve the health of the people it serves, yet this proposal will again do the opposite. Transport for London (TfL) estimates that £15 billion more road and rail investment will be needed to accommodate the third runway. But there are no plans on how this will funded. The Mayor should make it absolutely clear to Government that not a penny will be forthcoming from TfL or Londoners. Climate change is the greatest threat to our economy and all aspects of our lives and tackling this should be the Government’s priority. I have urged the Mayor to show climate leadership by calling for a suspension of all aviation expansion and calling on his C40 counterparts to join him.